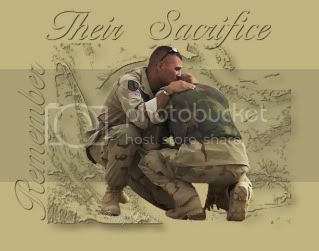 As of Monday, September 3o, 2014, at least 2,348 members of the U.S. military had died in Afghanistan, Pakistan, and Uzbekistan as a result of the invasion of Afghanistan in late 2001, according to iCasualties.org. Army Spc. Brian K. Arsenault, 28, Northborough, Massachusetts, died Sept. 4, 2014 in Ghazni, Afghanistan, of injuries sustained when his unit was engaged by enemy small-arms fire. He was assigned to the 1st Battalion, 504th Parachute Infantry Regiment, 1st Brigade Combat Team, 82nd Airborne Division, Fort Bragg, North Carolina. Marine Corps Sgt. Charles C. Strong, 28, Suffolk, Virginia, died Sept. 15, 2014 in Herat province, Afghanistan, in an insider attack while conducting combat operations. He was assigned to 2nd Marine Special Operations Battalion, Marine Corps Forces Special Operations Command, Camp Lejeune, North Carolina. 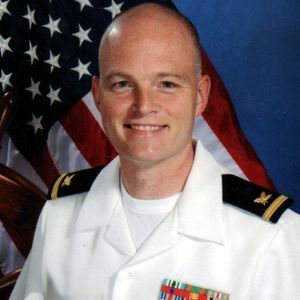 Civilian Stephen Byus, 39, Reynoldsburg, Ohio, a member of the United States Navy Reserves on his third tour of duty in the Middle East, died Sept. 16, 2014 in Kabul, Afghanistan, of wounds suffered in a suicide car bomb attack. He was a member of the Defense Logistics Agency Land and Maritime in Columbus, Ohio, working as a supply specialist assigned to the Combined Security Transition Command Afghanistan while deployed. Army Maj. Michael J. Donahue, 41, Columbus, Ohio, died Sept. 16, 2014 in Kabul, Afghanistan, of wounds suffered in a suicide car bomb attack. He was assigned as an operations support officer with C Company, Headquarters and Headquarters Battalion, XVIII Airborne Corps, Fort Bragg, North Carolina. Army Green Beret Sgt. 1st Class Andrew T. Weathers, 30, DeRidder, Louisiana, died Sept. 30, 2014 at Landstuhl Regional Medical Center, Germany, from wounds sustained when the enemy attacked his unit with small-arms fire Sept. 28, in Helmand Province, Afghanistan. He was assigned to 2nd Battalion, 7th Special Forces Group (Airborne), Eglin Air Force Base, Florida.